CRRS COMPLETE RADIOLOGY READING SERVICES, PLLC. I've been using CRRS for our teleradiology services for over 5 years. They are our exclusive provider of teleradiology services. Their report quality and support are excellent. We recently moved our teleradiology services to CRRS. We had started to see diminished quality in reports as well as increased turnaround times from our previous vendor so we opted to switch to a more quality-based, customer service based provider. We have been incredibly happy with CRRS. Cost was a consideration when choosing our teleradiology partner. CRRS provides a cost effective solution with great reporting quality. I would highly recommend CRRS. CRRS customer service is excellent. They are a really nice group to work with. They make me feel like we're their only client. A mere science fiction ruse for many adults who were teens in the 70’s, telemedicine advancements now allow the inevitable long-distance health care solution to work in syncopation with technology to create an environment where patients receive much quicker services. As newer innovations in teleradiology are unveiled, however, health professionals and patients wonder whether the ‘human factor’ will fly out the window with yesterday’s useless gadgetry. If you’re on the fence about telemedicine today, let’s explore both the adversities behind trusting robotics, and why keeping more personable heath care solutions ‘as is’ could still benefit telemedicine. Remember how waiting hours for doctors inside your room would literally create an aura of insanity around you? With wireless technology today, you could discuss pains, problems and listen to your treatment options from anywhere wireless can reach. Continuously burgeoning, internet connectivity and well-equipped teleradiology systems allow doctors to receive already analyzed images so quick patient solutions may be enacted. Nursing professions still deliver that personal touch, yet doctors aren’t necessarily readily available to provide in-person dialogue; telemedicine solved this. Telemedicine Apps – A Boon, or Abysmal? Applications now allow close monitoring of glucose levels, provide data that could be sent wirelessly to your doctor and make lives much easier altogether when aftercare programs need monitoring from afar. But what happens when mobile products fail to load? Or, even worse, what happens if data gets sent through cellular dead zones? Not every physician will have the time, or technological knowhow, to analyze thousands of incoming patient readings, meaning either someone must continuously monitor data remotely, or the app idea will become more painstaking than pervasive. From the above, we hit an impasse: does telemedicine provide positive leverage of technology, or possible prohibitions to accurate health care? If you’re inclined to speak with your regular physician, regardless where you are, telemedicine has wonderful innovations constantly being rolled out to assist in making that connection possible while maintaining HIPAA compliance. If you’re not working with a primary doctor, using Bing to find doctors in your proximity would only render long waiting room stints should telemedicine not work for you. All told, it really depends on personal preference, the breadth of your current emergency and exactly how quick apps work. Telemedicine could add value to your health care regimen, or subtract your desperate need for ‘face time’ with doctors. Only time will tell how effective apps in telemedicine will become. Telemedicine, which encompasses both teleradiology and virtualized environments for health care professionals to provide remote care to patients, still has minor kinks to work out. 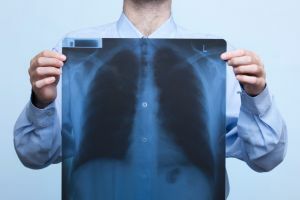 Software, connection and data deduplication need wider reach to be an effective out-of-box solution for medical practices. While science continually provides cures, technology will continually evolve the telemedicine field until either perfection is perfected or it’s deemed a wasted effort. Until such a decision is made, doctors and patients will continually test unchartered waters in communication, imagery and data collection – and attempt to do so while maintaining that ‘human factor’ patients often times cannot do without. The Future of Teleradiology: What Lies Ahead? Teleradiology Service Providers: Which is Best for You? Teleradiology: Is it All About Price?